CAMPBELL, California — February 13, 2014 — Arteris Inc., the inventor and only supplier of silicon-proven commercial network-on-chip (NoC) interconnect IP solutions, today announced that the company was featured in a World Economic Forum (WEF) report presented at its January 2014 Davos, Switzerland meeting. The report featured Arteris as an example of an entrepreneurial startup that has successfully built and maintained a global customer base and employee workforce. This World Economic Forum report documents some of the critical challenges we faced as we grew to become the world’s #1 supplier of interconnect fabric IP to the mobility and wireless SoC markets. CAMPBELL, California — November 13, 2013 — Arteris Inc., the inventor and leading supplier of network-on-chip (NoC) interconnect IP solutions, today announced it ranked 144th in Deloitte’s Technology Fast 500™, a ranking of the 500 fastest growing technology, media, telecommunications, life sciences and clean technology companies in North America. Arteris grew 922 percent during this period. The 2013 Deloitte Technology Fast 500 companies are exemplary cases of those spurring growth in a tough market through innovation. This year’s list is a who’s who of companies behind the most exciting and innovative products and services in the technology space. SUNNYVALE, California — August 20, 2013 — Arteris Inc., the inventor and leading supplier of network-on-chip (NoC) interconnect IP solutions, today announced that Inc. magazine ranked the company 462 on its 31th annual Inc. 500, an exclusive ranking of the nation's fastest-growing private companies. 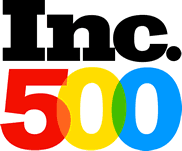 Arteris chalked up a phenomenal year in 2012, inking deals with several key customers and seeing our technology deployed in numerous market leading smartphone and tablet mobile devices We are very excited to increase our ranking on the Inc. 500 list.